BUENOS AIRES, Mar 24 2019 – Communication can be a key tool for the development of cooperation among the countries of the global South, but the ever closer relations between them do not receive the attention they deserve from the media. This conclusion arose from the meeting organised by Inter Press Service (IPS) Latin America in Buenos Aires on Mar. 22, during the third and final day of the Second High-Level United Nations Conference on South-South Cooperation, which brought together representatives of almost 200 countries in the Argentine capital. The colloquium, organised by the regional branch of the international news agency IPS, was one of the parallel meetings to the conference and the only one dedicated to communication. “Forty years ago, when the first conference, also held in Buenos Aires, approved the Plan of Action that forms the basis of South-South Ccoperation, there was awareness that communication was key,” said Mario Lubetkin, assistant director-general of the U.N. Food and Agriculture Organisation (FAO). “However, that notion has been lost and communication has not kept up with the changes that have taken place since then. This creates a vacuum for our societies,” said Lubetkin, the moderator of the meeting. “There is little coverage on what progress has been made in trade, technology or health cooperation among the countries of the South, which may seem very different among themselves but are quite similar in terms of their needs,” concluded Lubetkin, a former director general of IPS, an international news agency that prioritises information from the global South. In front of an audience made up mainly of journalists and other media workers, the debate was oriented towards the most appropriate tools for developing countries to better disseminate news from the global South, the latest term coined to define the group of nations in Africa, Latin America and Asia. Berensztein stressed that at a time when there is a renaissance of protectionism and nationalism in the world, it is necessary for journalists to reinforce the idea of cooperation and ensure that a plurality of voices is heard on the international stage. “We are living in a moment of crisis in which the old has not fully died yet and the new has not yet been fully born. That is why it is a time of uncertainty and accurate information is an element that favors the peaceful resolution of conflicts,” said Berensztein. The power of the large media based in countries of the industrialised North, which tend to impose their journalistic agenda on a global level, was present in the debate as a worrying factor and as evidence of the failure of initiatives aimed at bringing about a new and more balanced information and communication order. 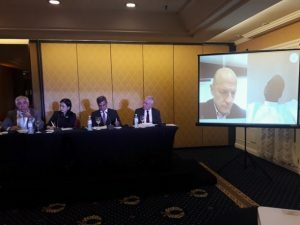 “What is the best way to foment the mass circulation of information about the global South, in order to escape this problem?” was one of the main questions that arose during the two-hour debate, held at a hotel in the Argentine capital. 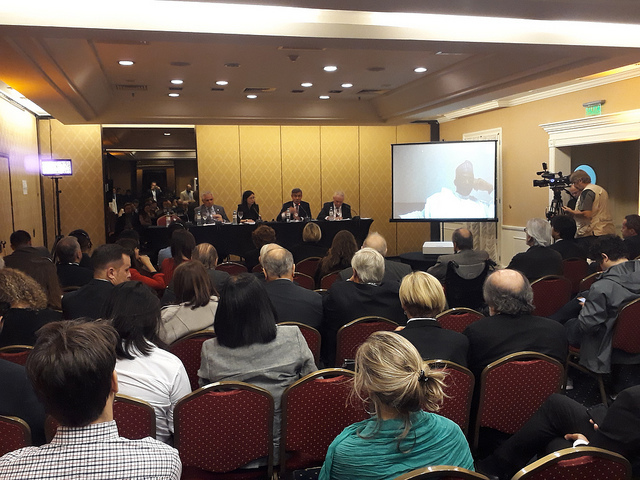 From the city of Lagos, in a videoconference, the news director of the Nigerian Television Authority, Aliyu Baba Barau, called for strengthened cooperation between media outlets and journalists from developing countries, through the organisation of trips and mechanisms that favour the sharing of resources. “Nigerian TV permanently shares its resources with other countries,” he said as an example of what can be done in terms of cooperation in media projects in the South. “The mechanism of South-South cooperation and its advantages need to be understood not only by those who lead our nations, but also by the global community,” said Baba Barau. Media representatives from China played a prominent role in the exchange of ideas and reflected the strong interest in Asia’s giant in achieving closer ties with Africa and Latin America. Participants included Zhang Lu, deputy editor of China Daily, the country’s largest English-language news portal; Cui Yuanlei, Mexico correspondent for the Xinhua news agency, which distributes information in several languages (including Spanish); and Li Weilin, team leader of the CCTV television network in São Paulo, Brazil. Li said the media in emerging countries should not depend on the information distributed by the news networks of industrialised countries, and said journalism should be a way to share experiences. He said, for example, that during the 2016 Olympic Games in Rio de Janeiro, CCTV produced coverage for people in Kenya to see how Jamaica’s star runners were trained, and for Jamaica to meet the Kenyan runners who perform so well in the long-distance and medium-distance races. Ridolfi said communication has a key role to play in the arduous path towards Agenda 2030 for Sustainable Development and its 17 Sustainable Development Goals (SDGs), which seek to improve the quality of life of the world’s population and bring the South into line with the level of development in the North. “The media and journalists have the mission of attracting audiences with news linked to sustainability. The proliferation of plastics in the oceans, the devastation of forests or the problems plaguing food production are issues that should be on the agenda,” he said. Like the other panelists, Ridolfi lamented that societies are unaware of the South-South cooperation mechanisms that have emerged in recent years and said journalists have a lot of work to do in that regard. “We have yet to demonstrate to the world the real value and benefits of South-South cooperation,” the FAO official said. The need for African, Asian, Latin American and Arab media to get to know each other better was recognised as a necessity. The local participants were particularly emphatic about this, since Argentina is a country with deep cultural ties with Europe, where little is known about what happens in the countries of the regions of the South, beyond catastrophes and conflicts. The challenge, now that new technologies have democratised communication but have also put it at risk, is to generate information from the South in attractive formats that allow a better understanding of the realities and opportunities in developing countries and between the countries and regions of the South.